All Sandals Resorts & Beaches Resorts participate in the EarthCheck benchmarking and certification program. From recycling to conserving, ecological responsiveness is a Sandals commitment. Because our "green" resorts are made for love, loving the environment has become second nature. Our mission is to offer the ultimate Caribbean vacation experience by innovatively, reliably and consistently providing the safest and highest quality services and facilities to guests, while attaching a premium to our human resources and being among the most eco-friendly and community-friendly resorts in the hospitality industry. The Oceanic Standard (TOS) is a comprehensive guide to implementing sustainable practices in the hospitality industry, with a focus on reducing single-use plastics. Oceanic Global, the force behind TOS, awards businesses who have achieved certain levels of commitment in adopting sustainable practices with a series of badges to denote their dedication to conservation and eco-friendly initiatives. 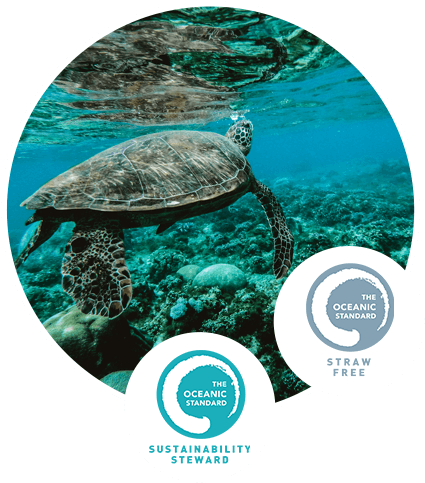 Our resorts are proud to have received the distinction of Sustainability Steward and Straw-Free Certified. Team members, participation in workshops and seminars conducted by the environmental committee, local government organizations, and also by non-governmental environmental organizations. Monitoring of total water use on property (pools, guestrooms, kitchen, dining room and garden areas). Use of timers on electrical equipment such as; Jacuzzi blowers, steam rooms at the Spa, outdoor lighting for walkways, refrigeration equipment in the kitchens, etc. Waste disposal practices and procedures at the hotel such as the recycling of linen and bed spreads, food, office paper, and packages. Hotel determines suitability of product before any purchase is made and provide full training for staff whenever new chemicals or equipment are purchased for use in the hotel. Promoting and selling local tours and attractions with special recognition of "Green tours" at the tour desks. Inviting local craft vendors to the hotel at least once per week to display and sell their craft items. Starting November 1st, 2018, every Beaches Resort will eliminate single-use plastic straws and stirrers used across the resorts. Eco-friendly paper straws will be available upon request. Starting February 1, 2019, every Beaches Resort will eliminate Styrofoam used across the resorts. This is just another way we’re reducing our environmental footprint and improving the health of our Caribbean communities. The Sandals Group is committed to providing quality vacation experiences for our guests while we work to minimize the environmental and social impacts associated with our operations. Sandals Resorts International operates one of the first all-inclusive resorts in the world to receive Earthcheck environmental certification, Sandals Negril Beach Resort (1998). This resort was awarded the inaugural PLATINUM certification by Earthcheck and continues to be a testament to our acknowledgement that the travel and tourism industry has the potential to contribute significantly to sustainable development in its widest sense. This is especially true for our group as we are making a specific effort to monitor the impact of our daily operations on the surrounding community and the environment. We have taken a leadership role and we invite the entire travel and tourism industry inclusive of our visiting guests, business and community partners, and any other interested persons to join us in this effort to preserve the earth. The Sandals Group is committed to providing quality vacation experiences for our guests while we work to minimize the environmental and social impacts associated with our operations. These include, freshwater & energy conservation; recycling and reuse programs for solid waste & wastewater; reducing or eliminating the use of hazardous substances; reduction of greenhouse gas emissions; preservation of land and fragile ecosystems; focused community development and cultural relations; and the employment of qualified local personnel in keeping with our existing human resource policy. The environmental focus within our hotels also includes programs to minimize noise pollution and hazardous emissions where these are identified within our operations. 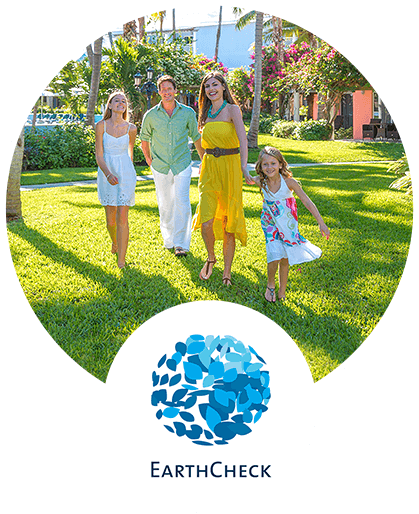 Each of our resorts is committed to implementing and maintaining the company's EARTHGUARD policy with management systems that effectively address the aspects of hygiene, health, safety and environmental concerns. This policy is our commitment and contribution to global sustainable development for all guests and team members. It encourages the support of our business and community partners as we strive to continuously improve our positive interaction with the natural resources in the Caribbean. We have been on this journey since the inception of the company and the Sandals Foundation continues our focus on the environment, education, and the community for increased contribution to sustainable development in an increasingly threatened world.